GUNNISON—Freedom Innovations, a prosthetics company based in California with facilities all over the world including Gunnison City, has been purchased by one of its foreign competitors. However, the U.S. Federal Trade Commission (FTC) is delaying the total acquisition with an antitrust investigation. Freedom Innovations employs more than 150 people around the world. Although the company’s headquarters is in Irvine, Calif., Gunnison City is home to its manufacturing and research facility. Its European headquarters are based in Enschede, Netherlands. The acquisition was initiated in September 2017 states a Jan. 10 press release from Freedom Innovations. The firm was founded by Otto Bock, and the company is commonly referred to as Otto Bock and as Ottobock or OttoBock. According to the press release, at the time of the acquisition, antitrust clearance from the FTC was not required. But an antitrust investigation is now underway, and, in accordance with a three-way agreement between Freedom Innovations, Ottobock and the FTC, the companies will continue to operate independently until the matter is resolved. “Leaders at Freedom and Ottobock are continuing to seek resolution directly with the FTC to settle this matter,” said Freedom Innovations Chairman Maynard Carkhuff in the release. Freedom Innovations was, up until now, owned by private equity company Health Evolution Partners. The two prosthetic manufacturing giants signed a binding purchase agreement on Sept. 22 in Irvine, Calif.
Freedom Innovations is No. 3 in the field of prosthetics in the U.S. Sales in North America account for three quarters of the California company’s turnover. More information is available at the Freedom Innovations website at www.freedom-innovations.com. Brelynne “Breezy” Otteson (left) and Riley Powell have been missing since Dec. 30, 2017. Their vehicle was recently discovered in Juab County under suspicious circumstances, and a full investigation is underway to find what happened to them. Two Sanpete County Sheriff’s Office detectives are working overtime to help out on the case. 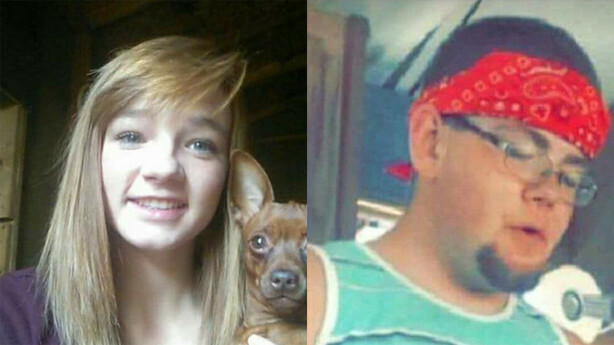 JUAB COUNTY—The Sanpete County Sheriff’s Office is helping out in the hunt for a pair of missing Eureka teens whose disappearance now points strongly toward foul play said authorities. Riley Powell, 18, and Brelynne “Breezy” Otteson, his 17-year-old girlfriend, haven’t been seen since Dec. 30, 2017, said his family. The family began to worry when they didn’t come home to Eureka from Tooele where the two had been visiting family. A large search-and-rescue effort has been underway up until earlier this week, but after the pair’s Jeep was found dumped in a remote location near Cherry Creek Reservoir in Juab County, the search and rescue became an investigation, with authorities from the Juab County Sheriff’s Office holding a strong hunch that something nonaccidental happened to the two. Now with a full-blown investigation underway, through Sanpete County’s participation in the Juab-Sanpete Major Crimes Joint Task Force, Sanpete County Sheriff Brian Nielson said he has two detectives working 16-hour days on the investigation, trying to move it forward in cooperation with Juab law enforcement. “Two of our detectives are heavily involved in the case and have helped make significant progress,” said Nielson, adding that the detectives are working the case with Juab and Tooele counties. The Jeep Grand Cherokee driven by the pair was found with two flat tires, hidden in the trees with the belongings of both Powell and Otteson still inside. Juab County Sheriff Douglas Anderson said that with the condition of the vehicle and its position in the trees, investigators believe the Jeep was placed there intentionally. A major current goal is figuring out who dumped it there and why the Jeep was discarded in that remote location. Anderson said he believes it is clear that neither Powell nor Otteson is in need of rescue. Meanwhile the family is offering a $5,000 reward for information leading to the recovery of the teens. Nielson said the Sanpete County Sheriff’s Office currently have a detective training in advanced forensics with federal law enforcement. The detective is bringing back cutting-edge techniques and hardware to assist in ongoing and future investigations. CENTERFIELD—Creating a sense of community comes about in a variety of ways, yet food and freedom of expression are often a big part of it. A new food bank is being created in Centerfield, and the building will also serve as a place for new small businesses and for community expression. David Wright of Earth Community Garden is spearheading the project which is already underway, and he hopes to bring the new food pantry, business incubator and community room to Centerfield by fall of this year. A building has already been purchased, and Wright is working with contractors, engineers and architects to get the building up to code. In the business incubator, those looking to start a business can test it out on a small scale before making the big financial leap to get a lease or purchase a location. Wright plans on making sure entrepreneurs in the business incubator have access to the internet and office supplies. It will provide a formal storefront and a professional environment to meet with clients. In the community room, Wright says small-scale community groups can meet. For instance, it can be a place for events, a place for classes with a projector and whiteboard or simply a place for a gathering. Wright has been doing community work and nonprofit activities since 2007, and, more specifically, food pantries for a little over two years. Funding for the project has come in from community members, grants, state funding and partner collaborations. The Home Depot in Richfield donated $3,000 and even participated in a Team Depot work day where half a dozen employees came and helped with demolition. Donations have come in money, time, material and labor. Wright said they can always do with more skills and ideas, material and labor, and he welcomes anyone willing to pitch in. 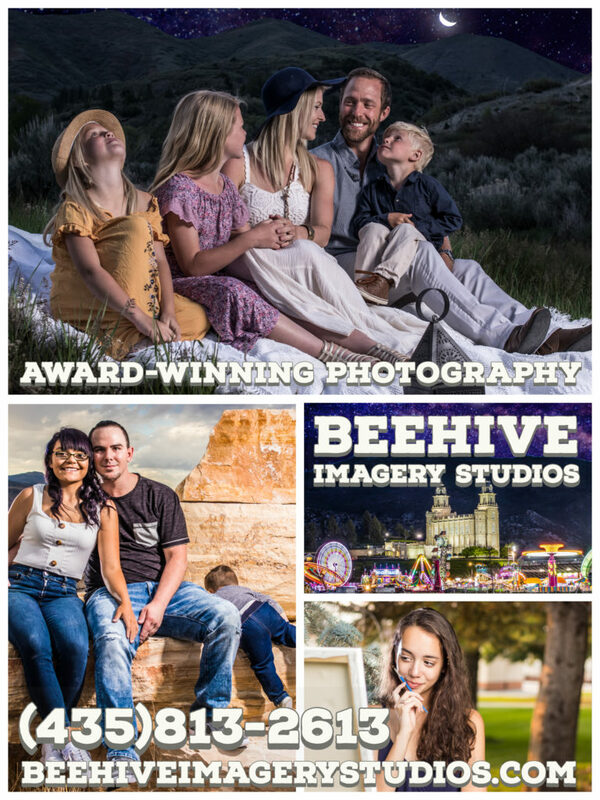 This venture is to serve all of the area surrounding Centerfield, mostly south Sanpete county and north Sevier county, but with a broader range, as needed. Another similar venture is taking place in Rose Park in Salt Lake City (see https://www.gofundme.com/earthcommunitygardenrosepark), pushed forward by Wright and his team. Wright said one of the main purposes of the food pantry is to bring connection to the members of the community. This gate is now shut on the public access road to Dry Canyon, west of Ephraim. It will remain shut but unlocked due to littering from the public when they used the road. The road crosses over private property on the way to the canyon. 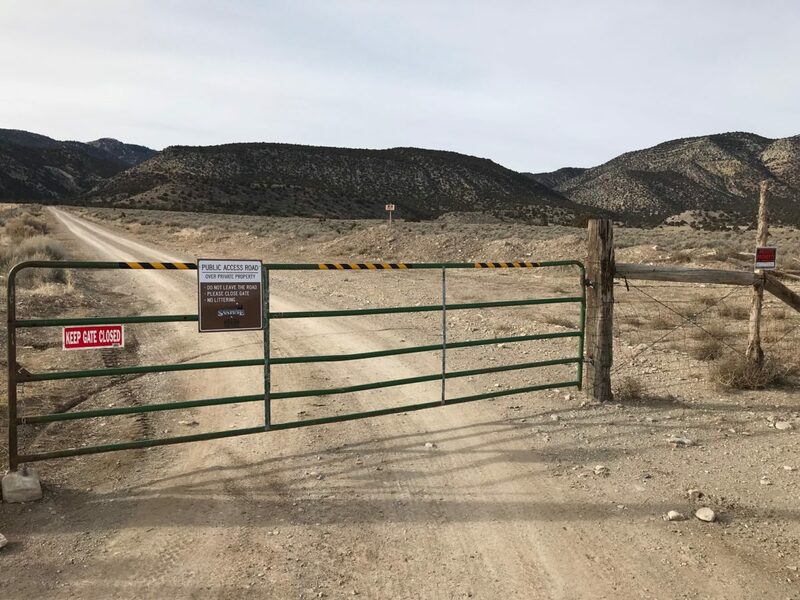 EPHRAIM—Residents driving on two county roads west of Ephraim may run into some gates after the Sanpete County Commission gave a private land owner permission to shut them. Kevin Christensen, director of Sanpete County Economic Development, said the commission gave Tom Lund of Ephraim the go-ahead to close gates on the public access roads to Dry Canyon and Ax Handle Canyon, which both cross his private land then lead to public land in the San Pitch Mountains. Christensen said Lund’s reasoning for the request was littering on his land from people who used the roads to access the canyons. The gate-closure agreement between the commission and Lund includes the installation of a sign on the gates to inform the public that the road is a public road despite the closed gates. The gates will remain closed but unlocked. Map showing where roads to canyons west of Ephraim that go through private property have had gates installed. CENTERFIELD—A Centerfield couple got in over their heads in late 2016 trying to make some side money on a home-based dog kennel, according to the city attorney. Richard and Dixie Smith had a license to operate a kennel and had started selling the dogs in the KSL classifieds. In late 2016, a lady bought one of the dogs and later discovered the animal had parvovirus. She complained to Centerfield City, and Jordan Horst, the Centerfield code enforcement officer, investigated the matter. In January 2017, Horst obtained a search warrant and made a visit to the Smiths. He asked them a series of questions about the dogs before seeing them for himself. “The area where the dogs were being kept was dilapidated and gross,” according to Centerfield City Attorney Kevin Daniels. Horst seizing six of the dogs that appeared to be in poor condition and took the animals to a veterinarian. Some of the dogs were euthanized on the veterinarian’s recommendation. After completing his investigation, Horst wrote a 32-page report. Richard and Dixie Smith were each charged with a single count of animal cruelty, a Class B misdemeanor. Around December 2017, the couple accepted plea in abeyance, which will last one year. The conditions are a $100 plea-in-abeyance fee, along with 30 hours of community service for each of them. After one year, if they have no further criminal convictions, the charges will be dropped from their records. An agreement was established that the couple would not operate a kennel again within Centerfield City limits. On Wednesday, Jan. 17, Daniels reported to the Centerfield City Council on the only remaining issue: whether the Smiths could be permitted to keep a limited number of dogs as pets. He asked the council’s advice on the matter. Mayor Thomas Sorensen preferred the couple not be permitted to keep any dogs. Councilman David Beck suggested that the dogs “are like family, more like children” to the couple and that it would likely be better for them, mentally, if they were able to keep a dog. In an interview Monday, Daniels stated that while it is clear a limit will be set in place on how many animals the couple can keep in the future, the limit is “not ironed out fully” yet. 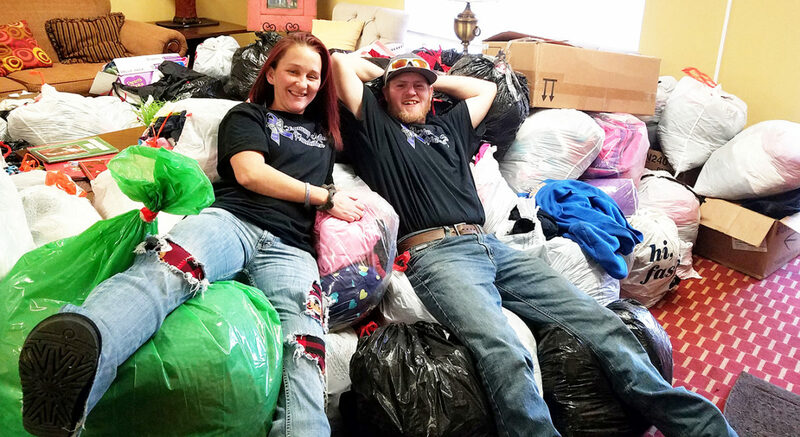 Lynsi Edmunds (L-R) and Tanner Smith lounge on the donations the Kammy Mae Foundation brought in for the New Horizons Crisis Center in Richfield. SPRING CITY—Spreading goodwill and cheer to all in December and starting a new year fresh full of hope means a great deal, especially to those who are hurting. 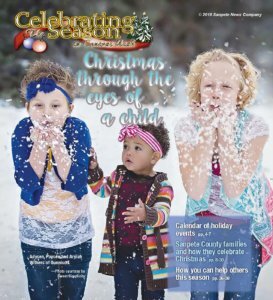 And in recent weeks, some of those who are hurting among us have been helped by people in the county who have supported a foundation established last year—the Kammy Mae Foundation. Tammy Coates of Spring City is the founder of the foundation which is dedicated to bringing awareness about domestic violence. Coates is the mother of Kammy Mae Edmunds who died allegedly of domestic violence in March 2017. During the first 20 days of December, the foundation invited residents of Sanpete County to donate essential items to the New Horizons Crisis Center in Richfield, which serves those who are hurting, especially those who have experienced domestic and sexual abuse. The shelter is highly dependent on donations essential for someone to start a new life—such as clothes, shoes, blankets, pots, pans and dishes. “I am so grateful to all of those who donated and to the volunteers that helped me gather up the donations and deliver them,” said Coates. Donations from all across the county came rolling in, some from as far as Nephi, Santaquin and Payson—including new fleece blankets, clothes, shoes, coats and comforters. On Dec. 21, volunteers loaded the donations into a large enclosed trailer. Even Sophya Lopez, young daughter of the late Kammy Mae Edmunds, could be seen helping pack the bags for the donation drive. The shelter, which serves five counties, sorted the donations by size, age, gender and other categories and placed them in what they call the big donation gym, where those in need can come through and gather up what they need to take with them. It was a Christmas miracle at the shelter. On New Year’s Eve, the Kammy Mae Foundation made another effort to bring awareness concerning domestic violence by setting off purple sky lanterns in 18 states across the country. Coates and others who have joined her foundation’s efforts are now the voice of her deceased daughter, Kammy Mae. She encourages people to end the silence related to domestic violence. To visit the foundation website, go toKammyMaeFoundation.weebly.com. You can also go to the Facebook page at facebook.com/kammymaefoundation7. Michelle Kiefer of Mt. 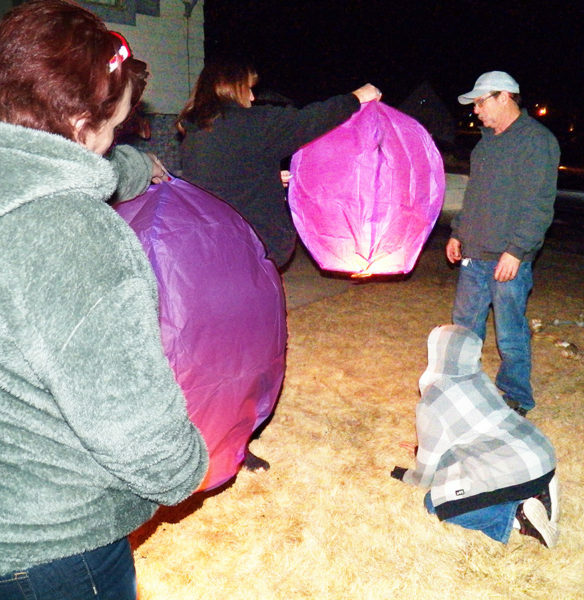 Pleasant (L-R), Tonna Newell of Roosevelt and Kyle Erdington with his grandson Bradley, both of Roosevelt, set off purple sky lanterns to show their support of the Kammy Mae Foundation and to welcome the New Year by bringing awareness concerning domestic violence. The reason for BYU Broadcasting dropping classical music from KBYU-FM and PBS from KBYU TV came to light during an interview on BYU TV on Jan. 21, 2018. The managing director of BYU Broadcasting said that Elder Dallin Oaks told him in a meeting THAT BYU Broadcasting should teach the LDS gospel. From that, the director evidently inferred that classical music and PBS programming did not teach the “gospel” so Bach and Handel are going away as are nature and the Lawrence Welk Show, even with its LDS stars. Programs such as Studio C and Extinct follow that order better for their target audience of 7 to 54 years of age, he said. Does that mean that the retired wealthy donors to BYU should end their donations because they are no longer important? Personally, I believe that when BYU TV broadcasts talks given at Education Week on the BYU campus it was teaching the LDS gospel better than BYU volleyball and basketball are now. It seems to me that the managing director of BYU Broadcasting should either reconsider Elder Oaks’ counsel, or leave his position or maybe even be fired if he insists that Extinct and Studio C teach the gospel better than Bach or nature. Larry M. Childs passed from this mortal world on Wednesday, Jan. 17, 2018 in his home in Gunnison after a valiant four-year battle with cancer. Larry will be truly missed by all those he came in contact with, he never met a stranger. Larry was born the seventh of ten children to Jay and Janet Childs in Gunnison, Utah on Dec. 12, 1961. Larry loved growing up in Gunnison where he enjoyed riding horse and motorcycles and working on the family farm. He looked forward to Friday night sleepovers with his grandparents, where he would help his grandmas iron drapes and cook. Summers where spent riding for cows and building fences on the mountain with his grandpa. Larry attended Gunnison Valley High School where he was active in FFA, track, wrestling, and student council. After graduating from high school, Larry attended Snow College and BYU on livestock judging scholarships. He excelled in this area earning many awards. Larry married Kristal Payton Aug. 13, 1983 in the Salt Lake Temple. They settled in Gunnison where they raised their two children. Larry had many passions in his life, including leatherwork, gardening, photography, and collecting. Larry’s most profound love was for animals and he spent countless hours dedicated to teaching the youth that same love. 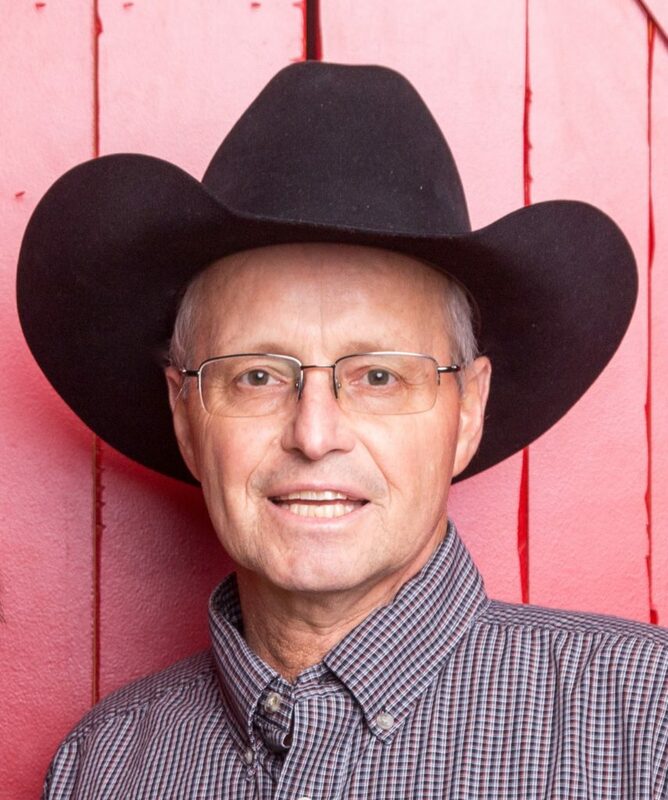 Larry served as Jr. Herford Association President, Sanpete County Rodeo Chairman, 4-H leader, and Jr. Livestock Chairman. Larry was a dedicated member of The Church of Jesus Christ of Latter-day Saints. He served in many callings throughout his life. Among his favorites were Elders Quorum president, Sunday School president, and financial clerk. He considered among the most fulfilling to be his callings at the prison. He served as a Sunday School teacher, Family Home Evening coordinator, and as a member of the branch presidency. Service was a huge part of Larry’s life. Not a day went by that Larry didn’t serve those around him, most of the time completely anonymously. Larry is survived by his wife, Kristal; children: Shayla and Jarrett Coates, Gunnison; Jake and McKaylee Childs, Cedar Hills; his parents, and nine siblings. His pride and joy were his five grandchildren; Ryder, Rawlee, Talbot, Rangely, and Charlotte. A special thanks to Dr. Wallentine and his staff for their kind and loving care of Larry. A celebration of his life was held Jan. 23, 2018 at noon in the Gunnison Stake Center. Burial was in the Gunnison Cemetery. Funeral Directors Magleby Mortuary Richfield, Salina, Manti. Online guestbook www.maglebymortuary.com. 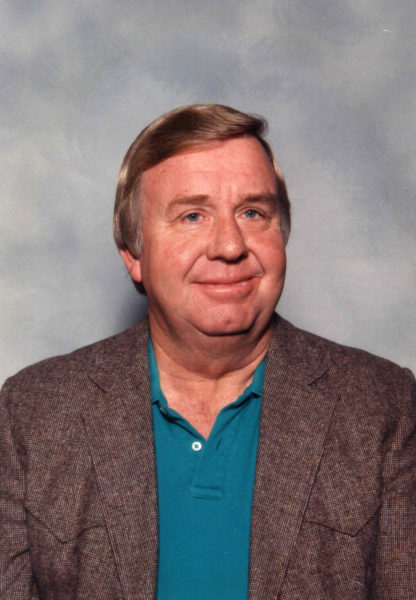 Wayne Ray Sevy, 81, passed away peacefully in Gunnison, Utah surrounded by family. Wayne was born in Ephraim, Utah to Hespert and Rozella Sevy on his Mother’s birthday, Sept. 23, 1936. He grew up in Ephraim with his brothers: Ken, Milton, Alfred, Neldon, Bob, and two sisters: Francis, and Nellie. Bob is his only surviving sibling. Ephraim was a good place to grow up and Wayne, his siblings and his friends had lots of fun. Wherever adventure and mischief were found, there was Wayne, right in the middle of it, in spite of the fact that his dad was the town marshal and was trying to keep the peace. Wayne attended the local schools and graduated from high school which was held at Snow College. At that time grades 11 and 12 attended classes on the Snow College campus, as there was no high school in Ephraim. After graduation, Wayne and one of his friends were eager to serve their country and joined the Army where he served for two years. After an honorable discharge from the Army, Wayne moved to Ogden, Utah and became employed by the United States Postal Service where he worked for 20 years. A friend in Ogden told him that he was attending barber college and Wayne thought that sounded interesting so he decided to go to school there in the evenings while working at the Post Office. He graduated barber school in 1961 and became a barber in Ogden, Utah. Wayne married and became the father of three daughters and one son: Sandy Gonsalves (Dave); Paula Lamb (Craig); Christy Johnson (Dave) Jeff Sevy (Irene). In 1976 he returned to his roots in Sanpete County and practiced barbering there for 35 years. To quote Wayne, himself, “I met and married the love of my life, Vickey Braithwaite and we were married in 1989.” Vickey had two children then, Angela Rich (Guy) and Brandon Larson (Mandy). Wayne loved people and knew everyone and had many, many friends. Nicknamed ‘Sevy’ or ‘Savage’, he was always the life of the party. With friends or family members he loved playing cards or board games; going up in the mountains camping, fishing, or eating good food. He knew tons of stories and jokes and loved to amuse everyone with telling them at his barbershop, The Hair Hut, in Ephraim. If someone went to the shop for a haircut, they might want to not stay in the chair for too many jokes because as Wayne cut, he talked, and if you were in the chair too long you might have gone home with a very short haircut! Wayne loved his work and he was proud to be the town’s friendly and funny neighborhood barber. He cut hair for patrons of all ages, but his specialty was children and he made their haircut experience unique by clowning around with them or teasing them. He delighted them by providing candy for them with the haircut. At Wayne’s shop every Monday was ‘Candy Day’ and all kids were welcome to drop by for a piece of candy. Older children (meaning adults) could sometimes get a piece of candy too. Wayne is somewhat of a legend in Sanpete County because he loved to dress up in his version of Dolly Parton clothing and charm the crowd at the Demolition Derby held at the Sanpete County Fair. He named himself Dolly “Crash” and he pranced in and out of the grandstands in his cowgirl outfit sometimes sitting on the lap of an unsuspecting gentleman or two each year for seven years. Dolly Crash was the Trophy Girl. He also loved helping Santa at Christmas time and for many years was one of Santa’s best helpers at the local Christmas festivities for 25 years. Anywhere children gathered Wayne was there because he loved kids. He was always kind and loving to children whenever he was with them. He conducted ‘Brownie Meeting’ at mountain camp to give the mothers a rest from their children and the children loved it. It was hard for Wayne when his body began to fail him and he could no longer do the activities that he loved to do, but he held onto the stories and jokes nearly to the end of his life. Wayne is survived by his sweetheart, Vickey, his children: Sandy, Paula, Christy, and Jeff. He is also survived by stepchildren: Angela, and Brandon. 34 grandchildren: 31 great-grandchildren, with four more on the way. Wayne is beloved by many brothers-in-law and sisters-in-law, countless niece, nephews, and many, many friends who will miss him deeply. Funeral services will be held at 11 a.m. on Saturday, Jan. 27, 2018 in the Manti Stake Center. A viewing will be held from 6-89p.m. on Friday, Jan. 26 and prior to services at the church from 9:30-10:30 a.m.
Burial will be in the Manti City Cemetery with military honors by the Manti American Legion Post #31 and Utah Honor Guard. Funeral Directors: Magleby Mortuary, Richfield, Salina and Manti. Online guestbook at www.maglebymortuary.com. Rheta Olsen Cluff, our beloved aunt and friend, finished her earthly journey Jan. 17, 2018. She was born May 10, 1934 in Moroni, Utah to John LeRoy Olsen and Ethel Eveoline Oman Olsen, their eighth child. She grew up in Moroni during the Great Depression and her family learned how to be careful with what they had. Rheta graduated from Moroni High School and LDS Business College. She took the civil service exam and was working in Salt Lake City when called to serve in the Finland Helsinki Mission. She served for two full years. She loved the Finnish people and continued speaking Finnish throughout her life. She married Chester (Chet), Cluff in the Salt Lake City Temple. Five years later they moved to Northern California. They adopted two beautiful boys—Eric and then Jon, who were the loves of her life. While living in California, she operated a day care center, at first caring for between nine or ten children, but when licensing was required, she could only care for six children in addition to her two. When Chet died in 1994, she moved back to Moroni, Utah and started working at the Ephraim Co-op Mercantile. 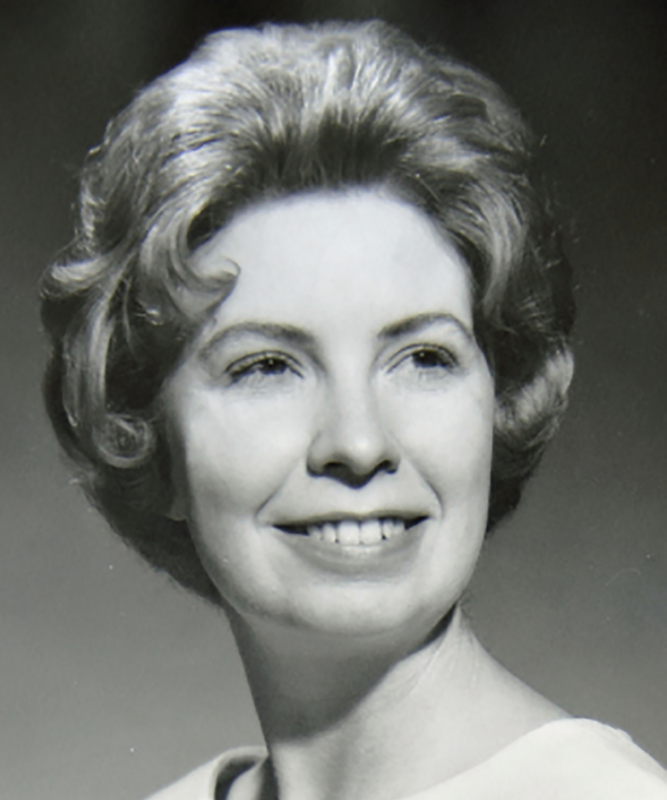 Rheta was an active member of The Church of Jesus Christ of Latter-day Saints and served faithfully in many positions. Rheta always made sure those around her were happy, always having a joke ready to get them laughing. Rheta was gifted at needle work, crocheting and knitting. Many of those items were provided for humanitarian services. She was a poet and loved to read. She is preceded in death by her husband Chester Cluff, both sons: Eric Reed Cluff and Jon William Cluff, as well as her seven siblings: Oman LeRoy Olsen, Lloyd Vern Olsen, Evelyn Olsen Orstrom, Helen Olsen Celestre, Ralph Austin Olsen, Elliot B Olsen, Ida Olsen Donaldson. She is survived by a grandson, Johnathan Cluff and 34 nieces and nephews to whom she was a surrogate mother. A remembrance of her life will be held Saturday, Jan. 27, 2018 at 11 a.m. in the Moroni Stake Center. Family and friends may attend a visitation from 9:30 a.m.-10:30 a.m. prior to the service. Interment in the Moroni City Cemetery. Online condolences available atwww.rasmussenmortuary.com. 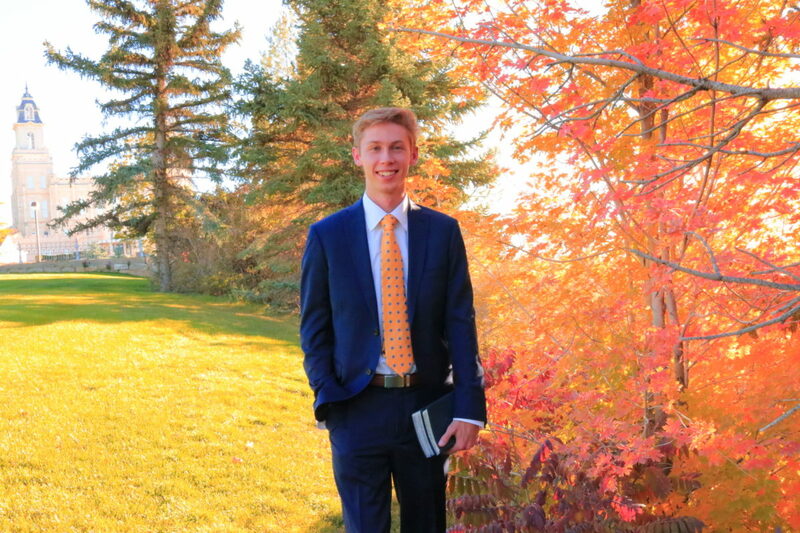 Brandon Jason Maylett has been called as a missionary for The Church of Jesus Christ of Latter-day saints and will labor in the Kingston Jamaica Mission. He is the son of Jason and Cindalyn Maylett of Manti, and the grandson of Greg and Janet Maylett of Manti and Kirk and Suzan Hill of West Valley. He will be speaking in sacrament meeting on Sunday, Jan. 28, 2018 at 1 p.m. in the Manti Tabernacle. to serve in the Texas Dallas Mission for The Church of Jesus Christ of Latter-day Saints. will prepare to teach the gospel in the Spanish language. 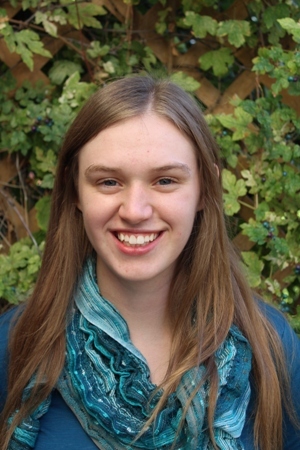 Prior to leaving, Allison will speak in the Manti 2nd Ward on Jan. 28 at 1 p.m.
at the Manti Stake Center (555 East Union Street). Herds of sheep will sometimes be blocking the road you’re traveling. Whenever driving after dark, one must be constantly vigilant for that dreaded deer in the middle of the road. Trips up north to bigger cities such as Provo and Salt Lake City become a necessity. Whatever the reason, most of us find ourselves journeying northward at least a couple times a month. The frequency of these trips will vary by household, but I have yet to meet the family that is entirely immune from these requisite trips. Since we all travel north from time to time and since two perfectly acceptable and nearly equidistant ways to get there exist, I am always interested to know which route people tend to prefer and why. If you live in Moroni or Fountain Green, you will almost certainly take S.R. 132 through Nephi Canyon which connects to I-15. If, on the other hand, you live in Fairview, you will likely just hop on U.S. 89, which connects to U.S. 6 and eventually feeds into I-15. But if you happen to live farther south, your choice is less obvious and requires a little more forethought. Appealing to the digital map on my computer does not provide a conclusive answer. Spring City and Mt. Pleasant residents save only three minutes by taking the U.S. 89 route instead of Nephi. Ephraim and Manti residents save only the same three minutes by taking the opposite route. I have taken the opportunity of asking a number of locals from different towns which route they prefer, and their answers are telling. Some are simply creatures of habit who have gotten used to a particular route over the years and never deviate from it. Some are classic Type B personalities who care less about how fast they go and who care more about enjoying the ride and the scenery along the way. These tend to prefer the more scenic route through Thistle. During snowy months, however, and especially after nightfall, many opt for the Nephi route, preferring to travel more of their journey along the well-plowed and well-lit I-15 corridor. Some take the Thistle route in daylight when deer on the road are easily spotted but opt for the Nephi route after dark when they aren’t. I can remember just enough from my college statistics course to conclude there’s no statistical significance whatsoever in this anecdotal straw poll of mine, but I have finally asked enough people this same question for a consensus of opinion to emerge. 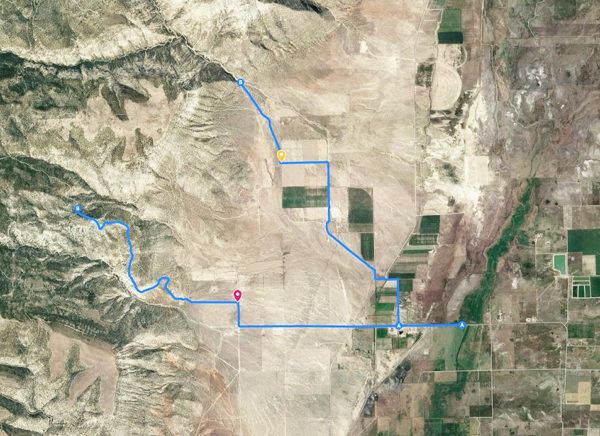 Here it is: The Nephi route is considered safer (especially after dark or in snowy conditions), but the Thistle route is thought to be far more scenic during daylight hours (and particularly in autumn and springtime). And fond wishes for safe and scenic motoring! Comments are welcome at ahalfbubbleoffplumb@gmail.com. 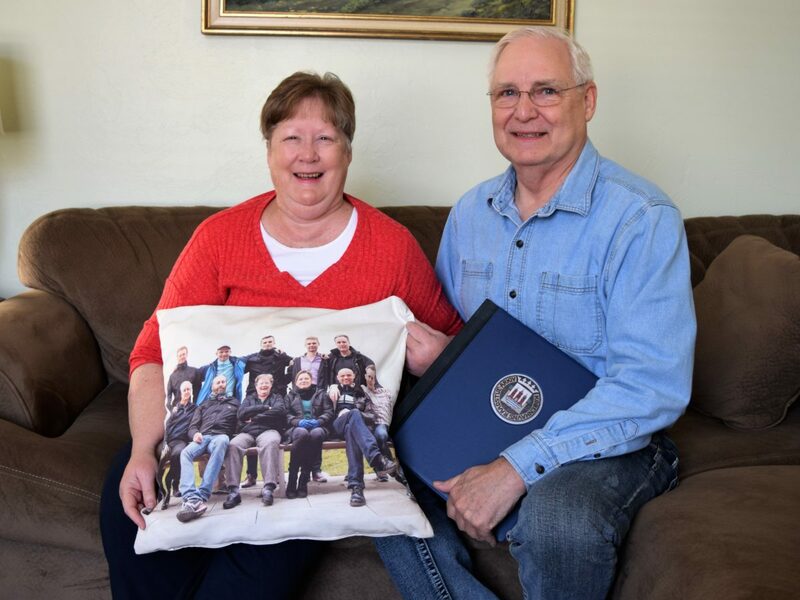 Beckie (left) and Clyde Bailey of Manti enjoy their time together as they hold meaningful memorabilia from their LDS mission to Denmark. MANTI—A Manti couple has traveled to many places, sharing their talents. After meeting, having a whirlwind romance and getting engaged just 10 days later, Clyde and Beckie Bailey of Manti have been on a good amount of adventures together. The couple has spent their lives since then sharing their talents and blessing the lives of those around them with service. Clyde always enjoyed performing. He performed several musicals in the Point Theater when they lived in Texas. His first lead was in “Something’s Afoot,” which his grandson is participating in at his high school this year. After moving from Texas to Ephraim, Clyde was on a search for a way to continue sharing his talents. After doing so, he was then recruited to tell fairytales in the Scandinavian Heritage Festival for several years. The couple then moved to Rhode Island where Clyde had the opportunity to perform as Hyrum Smith in Pennsylvania. While in Rhode Island, Clyde served as a bishop of the LDS Church and did temple service in Boston. Clyde then wrote another monologue to portray the father of Joseph Smith and Hyrum Smith and performed that for a youth conference in 2016. Together, Clyde and Beckie served an LDS mission in Denmark, digitizing records for the Denmark Archives. 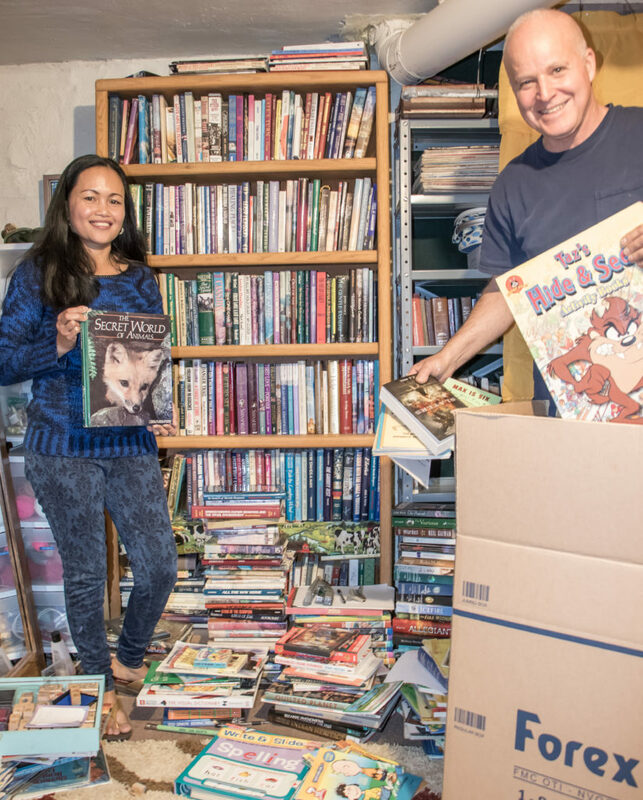 “Basically, we had a table with a glass lid that we would put the books in. The camera was above it, and we would take pictures of each page,” Clyde recalls. They gave presentations once a month to explain why they were there and what they were doing and were even put in several news reports. The couple thoroughly enjoyed their time in Denmark and getting to know the language, culture and people there, and they blessed the lives of the people they worked with in several ways. Clyde and Beckie continue to bless the lives of those around them with their service. 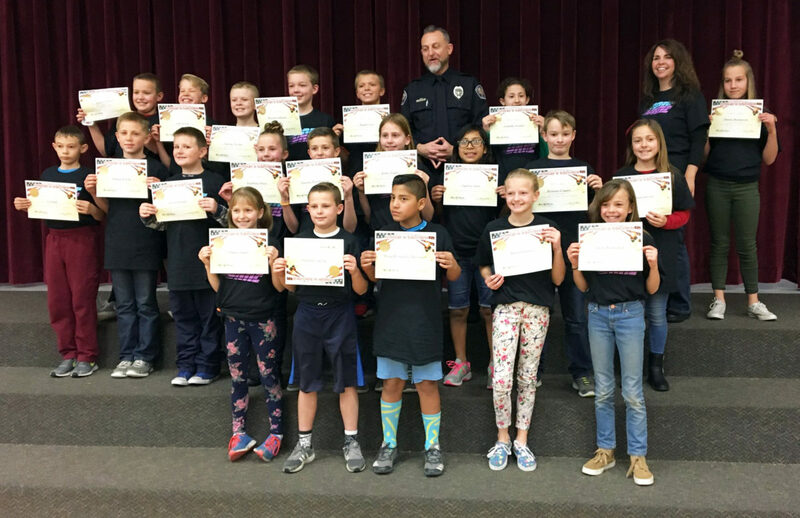 The students of Sharon Warren’s fifth-grade class at Ephraim Elementary School show off their DARE graduation certificates with their teacher and Ephraim Police Officer Jeff McQuivey.